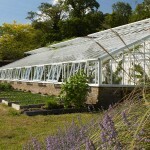 Lean-to Greenhouses are synonymous with walled gardens of period style residences. They are used for good reason. 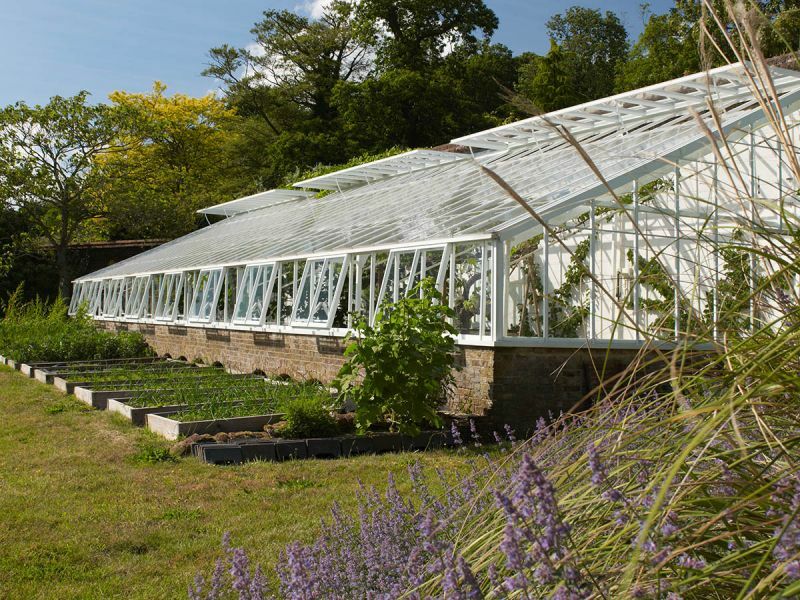 Lean-to Greenhouses on south-facing walls benefit from the sun’s heat warming up the host wall (tall wall against which the Greenhouses leans against) and this heat is released into the Greenhouse over an extended period of time. The temperate climate a Lean-to Greenhouse produces will enhance growing conditions and is ideal for peaches and grapes etc. 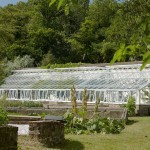 which can be trained against the host wall or the frame of the Greenhouse. 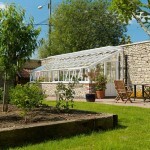 All Griffin Lean-to Greenhouses are custom made so we can make your dream come true. Through consulting with you to understand what your vision is and adding the creative and technical talents of Griffin’s design team we will engineer a Greenhouse which will function as well as it looks. 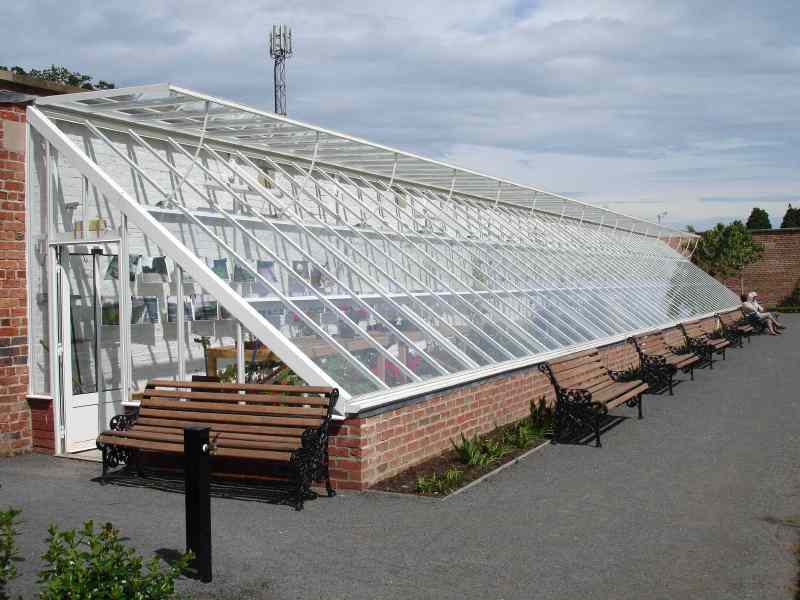 Griffin Glasshouses have cleverly designed their premium glazing system which is called the Victorian Glazing System to conceal most of the nuts and bolts and other construction details inherent in the assembly of aluminum greenhouses. The result is a beautiful finish with beveled edges and clean lines, similar to a timber Greenhouse in aesthetic value but without the maintenance that timber requires. Decorative spandrels add to the aesthetic value. 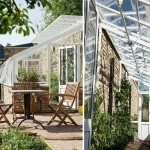 The Victorian Glazing System is available in a choice of 35 and 45 degree roof angles. 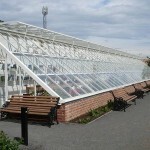 >Water can be evacuated from the gutters to the inside the Greenhouse (if ordered at the time of manufacture) so that the water can be stored inside the Greenhouse. The benefit of doing this is that the water stored in tanks inside the Greenhouse will be warmer than good water – and this warmer water avoids giving the cold shock to the delicate roots of the plant in summer months. Dwarf Wall Greenhouses have the advantage of enabling you to build raised beds inside the Greenhouse. It is also useful to have staging and shelving to display plants and also have them at a comfortable height for tending to them (a useful way to avoid unnecessary manual handling). Cold frames are great for hardening plants off and it is wise to consider buying them at the same time as your Greenhouse so that the builder who is building your Dwarf Walls can also prepare the small walls for the cold frames. Other accessories that are useful include irrigation, heating for frost protection or warmer conditions – e.g. for Orchids, supplementary lighting for plants or just pottering about after dark, propagation equipment to give your plants a good start and shade screens are all items that we supply but which can be retrofitted. 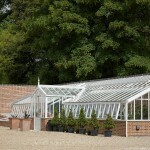 Having a conversation about these at time of ordering the Greenhouse can be helpful though –as it might assist you in planning services to bring to the Greenhouse during the build. 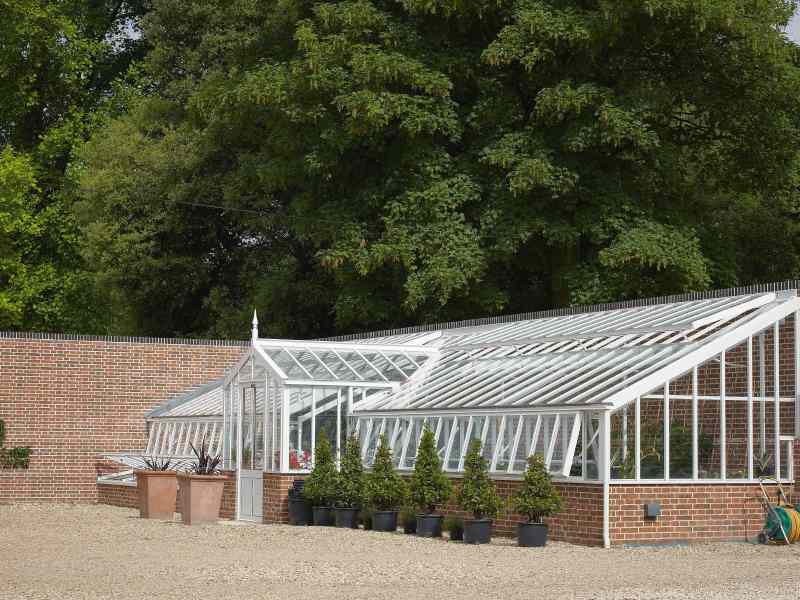 If you are in the market for a Griffin Glasshouse we would recommend if possible that you would visit our premises to see the product in the flesh. Once we have given a rough budget for the type of Greenhouse you are looking for if the price is not an obstacle and you would like to progress your inquiry towards an order we will be pleased to visit your site to discuss the project in more detail.